The partial or total loss of your natural teeth can impact on your life as well as affecting daily activities like eating, talking and laughing. Losing your teeth can also lower your self-esteem. As well as helping you to enjoy the foods you love, making sagging facial muscles appear more taught and making sunken features appear plumper, dentures will quickly restore your appetite for life by restoring your confidence and your self-esteem and will give you every reason to smile, every day. To ensure your teeth look at their most natural, our expert dentists work closely with our technician to select and position your denture teeth to match the form, shape and size of the teeth you have lost.Bring photographs taken before your teeth were lost to your consultation and we can discuss how to make your denture teeth look completely natural. 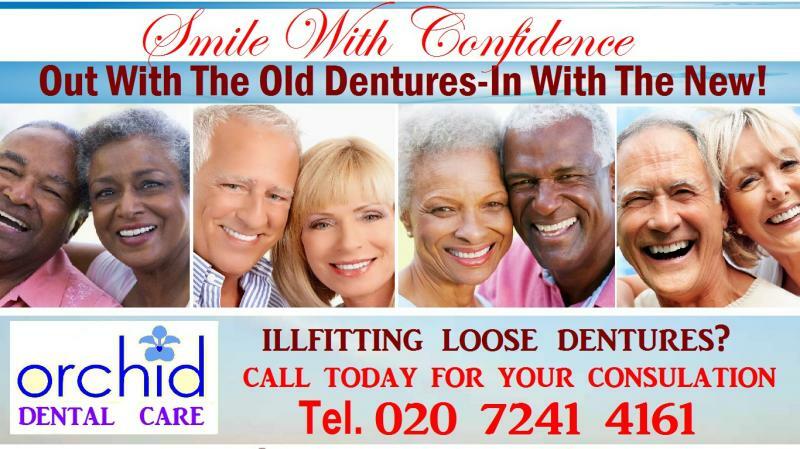 W are a leading dental practice in London N1, specialising in cosmetic dentures and dental implant supported dentures. A 'complete' or 'full' denture is one which replaces all the missing natural teeth in either the upper or lower jaws. A 'partial' denture fills in the spaces left by lost or missing teeth. It may be fastened to your natural teeth with metal clasps or 'precision attachments'. Q.Why should I wear dentures? 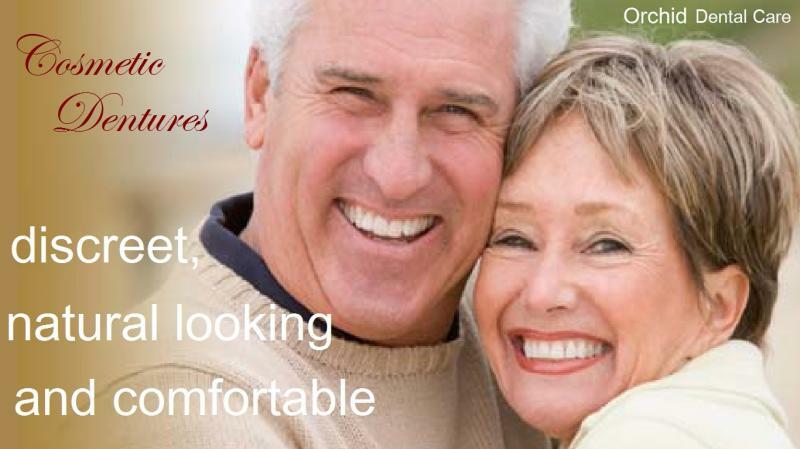 Full dentures, to replace all your own teeth, fit snugly over your gums. They will help you to eat comfortably and speak clearly, and will improve your confidence. Partial dentures replace teeth that are missing and can sometimes be supported by the teeth you have left. If you have some gaps between your teeth, then your other teeth may move to take up some of the space, so you could end up with crooked or tilted teeth. This could affect the way you bite and could damage your other teeth. Q.How soon can I have a denture after my teeth are taken out? Usually dentures can be fitted straight after your teeth have been removed. These are called 'immediate dentures'. You will need to visit the dentist beforehand for them to take measurements and impressions of your mouth. With immediate dentures you don't have to be without teeth while your gums are healing. However, bone and gums can shrink over time, especially during the first six months after your teeth have been taken out. If your gums shrink, your immediate dentures may become loose and may need relining, adjusting or even replacing. Your dentist will be able to discuss this with you.